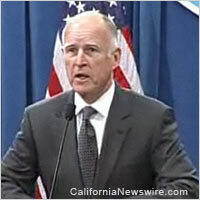 SACRAMENTO, Calif. /California Newswire/ — Earlier this week, Calif. Governor Edmund G. Brown Jr. announced the appointment of Gassia Apkarian and Craig E. Arthur to judgeships in the Orange County Superior Court. Apkarian, 47, of Mission Viejo, has been senior attorney and president at Apkarian Defense APC since 2007. She served as a deputy public defender at the Orange County Public Defender’s Office from 2000 to 2007, public relations advisor to President of Armenia Robert Kocharyan from 1998 to 1999 and was executive director of Democrats 2000 from 1997 to 1998. Apkarian served as special assistant to the ambassador at the Embassy of Armenia in Washington, D.C. from 1996 to 1997 and was western regional director of the Armenian Assembly of America in 1995, where she was deputy executive director from 1994 to 1995 and country executive director from 1992 to 1994. She earned a Juris Doctor degree from the University of La Verne College of Law and a Bachelor of Arts degree from the University of California, Irvine. Apkarian fills the vacancy created by the retirement of Judge Francisco F. Firmat. Apkarian is a Democrat. Arthur, 53, of Tustin, has served as a commissioner at the Orange County Superior Court since 2005. He was an attorney in private practice from 1999 to 2005 and an attorney at the Law Office of Harold LaFlamme from 1990 to 2002. Arthur served as an attorney at the Orange County Public Defender’s Office from 1989 to 1990. He earned a Juris Doctor degree from the Western State University College of Law, a Bachelor of Arts degree from California State University, Long Beach and an Associate of Arts degree from Orange Coast College. He fills the vacancy created by the retirement of Judge Craig E. Robison. Arthur is a Democrat.